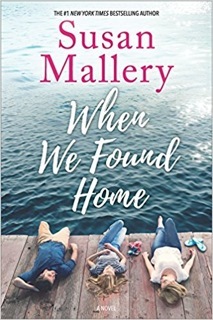 Satisfaction for Insatiable Readers: TLC Book Tours presents...WHEN WE FOUND HOME by Susan Mallery - SPOTLIGHT + EXCERPT! TLC Book Tours presents...WHEN WE FOUND HOME by Susan Mallery - SPOTLIGHT + EXCERPT! 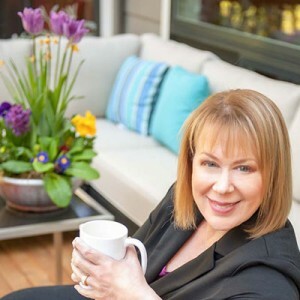 Today, we're joining TLC Book Tours for a stop along the first portion of their three part tour featuring the next release from author Susan Mallery. If it's not already on your radar, MAKE ROOM because it sounds like another MUST READ...which I'll be telling you more about next week, stay tuned! Anywho, back to the matter at hand. Today's stop is going to highlight the pending release via HQN Books AND give you a taste of the novel with a SPECIAL EXCERPT! Ready...set...READ! MONDAY MORNINGS WERE CALLIE’S FAVORITE TIME OF the week. From eight until eleven, she could be anyone she wanted. A princess, an astronaut, or just some housewife filling a few empty hours. The cats at the shelter didn’t care about anything but the fact that Callie changed out their litter boxes then spent time brushing them. There was no way she could have a pet herself, but working at the shelter allowed her to get a little feline love in her life. There were plenty of head butts and purrs, as if the cats were thanking her for what she’d done. When she’d first applied to volunteer, she’d been delighted not to find the ever-present felon question on the application. She’d taken the orientation class and had offered to clean out litter boxes. Not glamorous work, but satisfying all the same. She liked coming in and finding out one of the older cats had finally found a good home. She was happy to work with the more crabby residents, taking extra time with them. On the first Monday of every month, she carefully slipped a twenty-dollar bill into the volunteer collection can by the locker room. It wasn’t much, but it was a significant part of her weekly spending money and the most she could do. When Callie finished her shift, her T-shirt was covered in cat hair and she had an impressive scratch on her arm from a new kitty. He might be upset now, she thought as she washed her hands before leaving, but if he was still around next week, she would win him over. She signed out, then started for the bus stop. She’d barely made it halfway across the parking lot when she became aware of a sleek black car keeping pace with her. The vehicle was too nice to belong to the kind of criminal who would want to steal her battered secondhand backpack and there were plenty of people around should she want to scream and run. Even if she got abducted, someone would probably capture it on video. The car came to a stop beside her and a woman in her midthirties rolled down the window. She was well dressed and looked concerned. Callie’s radar went on alert, even as she told herself she’d done nothing wrong. She’d served her time, lived in the halfway house the exact number of days she was supposed to, filled out all the paperwork and didn’t have so much as a jaywalking ticket. No father? Of course there was a father—she hadn’t hatched—but what she knew about him was sketchy at best. Her mother had met a charming salesman at a convention. She’d been one of the models, as much on display as the product she was selling. Jerry Carlesso had walked over, smiled and introduced himself. According to Callie’s mother, that had been the end of it. She’d fallen wildly, madly in love. Three months later, she’d turned up pregnant and Jerry had taken off. He hadn’t wanted anything to do with his daughter. He’d sent child support on and off, had never visited. Callie knew next to nothing about him. As for a grandfather, there was no way. “I don’t know what you’re talking about,” she said firmly, raising her chin. Callie had a bad feeling her expression gave her away. Callie thought about how she finally had her life together. Okay, things weren’t great, but she was doing fine. She was saving money, working her jobs and in time, she would figure out how to be more than what she was with the albatross of her conviction hanging around her neck. She didn’t need anyone, ever. That had become her rule to survive. She was completely and totally on her own. Only when Shari held open the passenger door, she found herself walking toward the car. Before she could get her scrambled thoughts together, they were pulling out on the street and then it seemed silly not to go in and get coffee and a Danish and hear Shari out. Special thanks to Lisa at TLC Book Tours for the chance to bring this promotion to you. (THANKS!) For more information on this title, the author, the publisher, THIS TOUR, or those on the horizon, feel free to click through the links provided above. This title is set to celebrate its BOOK BIRTHDAY July 10, 2018 via HQN, so mark your calendar or pre-order your copy today! Be sure to check out the rest of the tour for more exclusive excerpts and then tune in for the review tour to see just how the adventures between the pages went!